A 2-day Workshop entitled “Stormwater Management (source control)” will be presented in Sydney on Thursday/Friday 27/28 June, 2013. The Notes provided in the course are based on the content of the award-winning manual “WSUD: basic procedures for ‘source control’ of stormwater – a Handbook for Australian practice” edited by Professor John Argue AO (University of South Australia). This document is endorsed by Stormwater Industry Association (SIA), Australian Water Association (AWA) and by Department of Water, Western Australia. The Notes have been updated, most recently in February, 2013. Serious issues of stormwater management in Australia are posed by the prospect of 35 million population of Australia by 2050. How will Sydney’s existing stormwater infrastructure and that of other major population centres such as Wollongong and Newcastle cope with change under the ‘high density’ option being suggested as a possible re-development scenario ? What strategies can be adopted to enable existing (competently-performing) infrastructure to manage these changes without expensive upgrade? How can re-development in catchments with existing under-performing stormwater infrastructure be managed to enable the existing in-ground works to progressively meet greater demand without expensive upgrade? Must the creeks and natural waterways falling within the jurisdictions of metropolitan and regional population centres such as Western Sydney and the Blue Mountains be sacrificed to hard-lining in the wake of the proposed expansion? Positive answers to these and many other questions based on WSUD (quantity) ‘source control’ practice will be provided in the Workshop. The Workshop will also include results of hydrological modelling of high-performing filter bio retention systems enhanced by treatment taking place in parent soil masses; the fate of dissolved pollutants is singled out for particular attention. 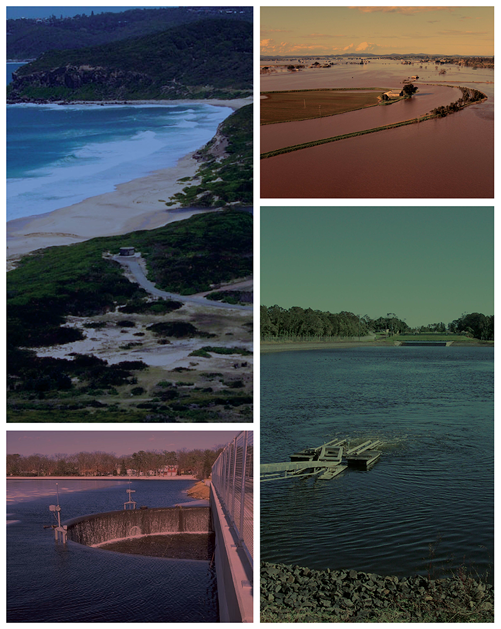 The short course includes: design procedures based on state-of-the-art analyses and best overseas practices adapted to Australia-wide conditions; case study illustrations drawn from field installations with between 10 and 18 years of Australian operational history; design ‘worked examples’; introduction and access to rainwater tank sizing software applicable across Australia. An understanding of basic engineering hydrology will be assumed. An optional, overnight homework exercise (requiring use of a calculator) will be included. The Workshop will be conducted as a joint presentation by Professor John Argue and Mr Peter Newland who will take over as sole Presenter of the Workshops in 2014 and beyond. It earns participants 32 hours of CPD credit with Engineers Australia. More information about the workshop including course content, cost and Registration Forms is available on the EEA website http://www.eeaust.com.au/ or by calling Anna on (03) 9274 9600.